using a few fun new dies I just received! but today I went an entirely different route! A bit more clean and simple and easy to mail! TH Distress Inks Spiced Marmalade and Peacock Feathers. 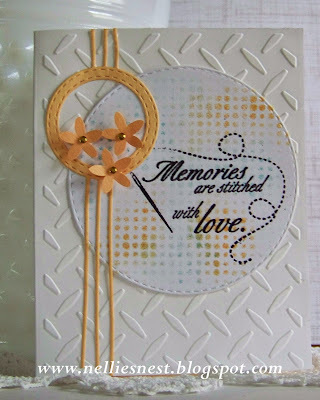 I cut out a circle with Memory Box Stitched Circles layers. many more will come up to choose from? you can find that way! then embossed with Sparkle N Sprinkle Black Detail EB powder. The stamp is a Magenta, if interested. From scrap paper I cut Memory Box Surely Stitched Circle. A few little flowers from my stash were added. 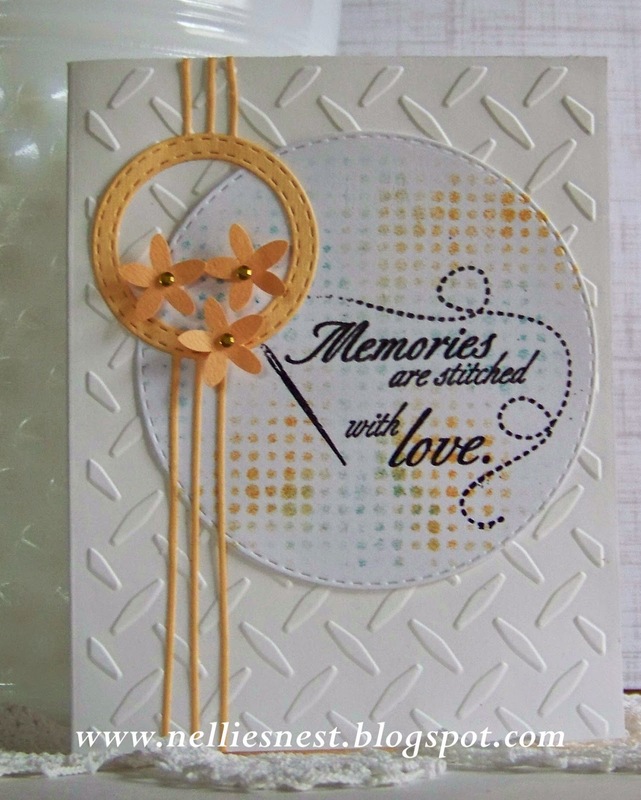 Don't forget to enter our Dies R Us Anniversary challenge. It is all month long celebrating Dies R Us 1st Anniversary!! hurry and join in for a chance to win! !